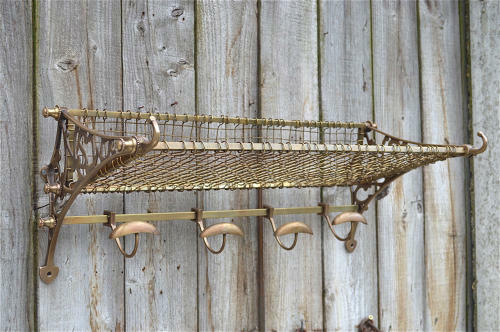 A superb copy of a vintage railway train luggage rack. Made from solid brass with an aged finish. It measures 70.5cm long, 28cm tall and 34.5cm deep or 27 3/4 inches long, 11 inches tall and 13 1/2 inches deep.